Kafan is your good choice of surface finishing equipment manufacturer, which solve the difficulty, expense and time cost that you face in pursuing a brilliant surface effect, such as cleaning, deburring, polishing, descaling, decorating, refurbishing. 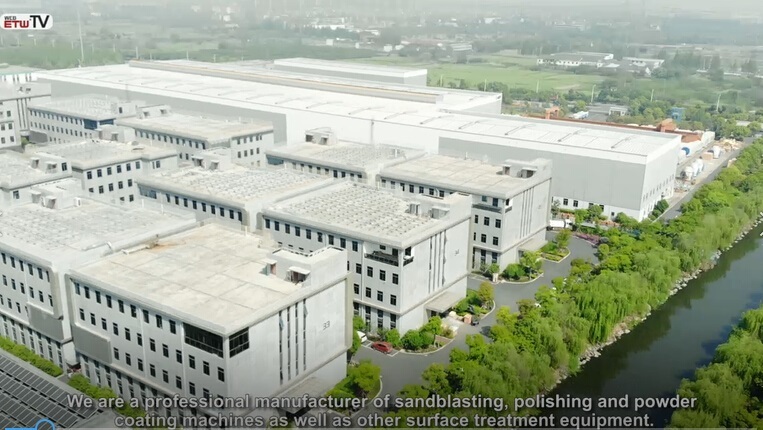 Kafan specialize in sandblasting equipment and mass finishing systems that meet all kinds of requirements and all materials, whether metal or non-metal. During the years experience of supplying surface finishing solution, kafan always using advanced technology to offer recognized-quality products, innovation and valuable services. We own a manufacturing base of a large building in Hangzhou, own professional production staff and equipment. 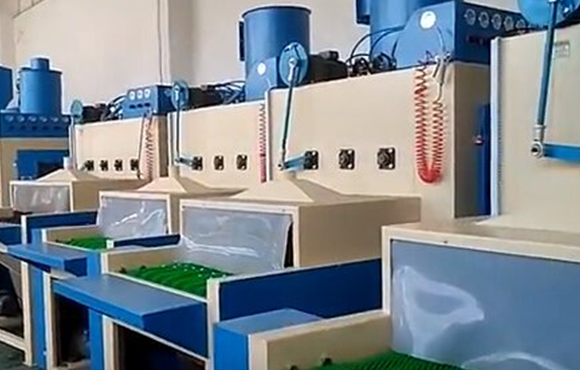 We build every machine in-house, producing process including design, drawing, material preparing, bending, welding, assembling, electric connecting, testing, etc. We can easily control the cost and quality to ensure providing a reliable and valuable product for customers. We have professional sales teams, most of whom have stayed with us for many years, they are quite knowledgeable with our products. What’s more, they master in English, Spanish, German, Russian, will have an barrier-free communication for customers in different languages. They provide 24-hour on-line service, making customer trust Kafan is their mission. Thanks to tireless efforts of all our staff, we have broadened our market to worldwide countries and enjoyed high praise of each equipment. Especially in US, Europe, Asia, North America, South Africa, we have established long-term business with many customers who entirely trust and know us. And that’s the power prompting us to pursue endless quality and service. How to choose right size air compressor for sandblasting machine?